Congrats! 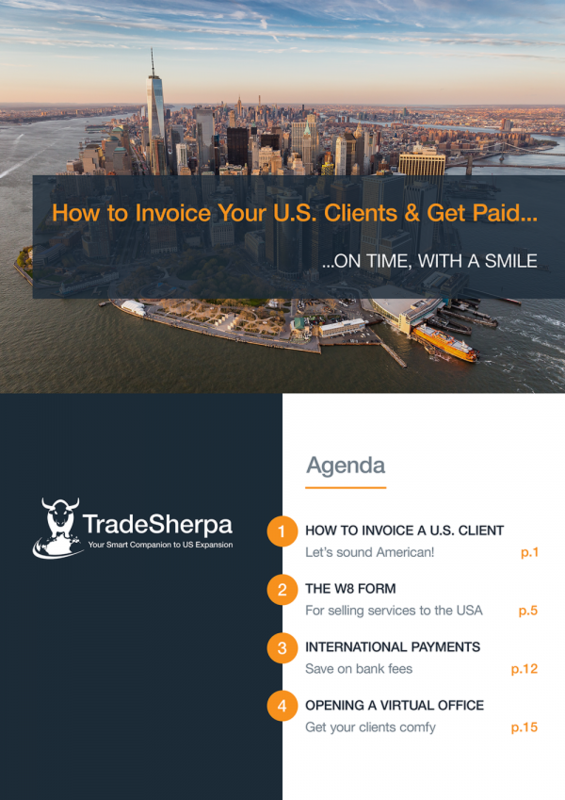 You can now read your e-book, the FIRST guide ever that explains how to delight your U.S. clients as you sell your products or services to the USA. What are the best practices for invoicing U.S. clients? Will I sound “American”? The W8 form for selling services to the USA: Why do I need to fill the form? How should I do it? International payment solutions: How do I select the appropriate solution? How can I manage clients’ expectations? Opening a virtual office: Why, when, and how?